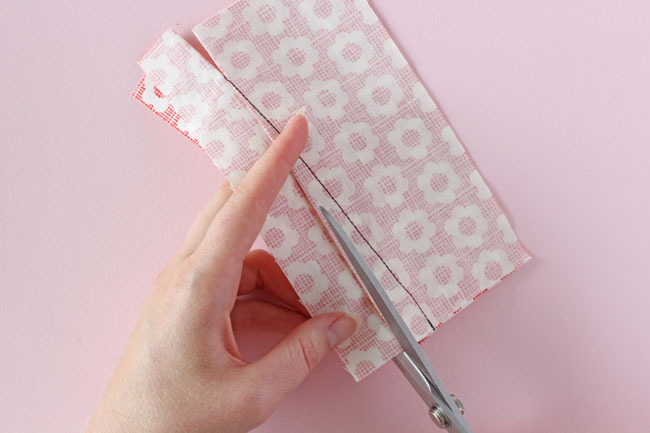 Cut a rectangle of fabric slightly longer and wider than the dart you want to work with. 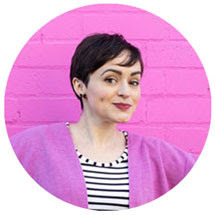 If you’re making a dress with lots of darts, like Etta, I’d use this technique for the most noticeable ones only - such as the bust and waist darts. Fold the dart in half, right sides together, and pin the legs together. Slip half of the rectangle of fabric under the dart and pin all the layers together. 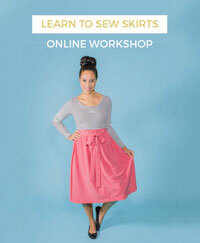 Stitch the dart legs together, catching the additional rectangle of fabric in your stitching too. 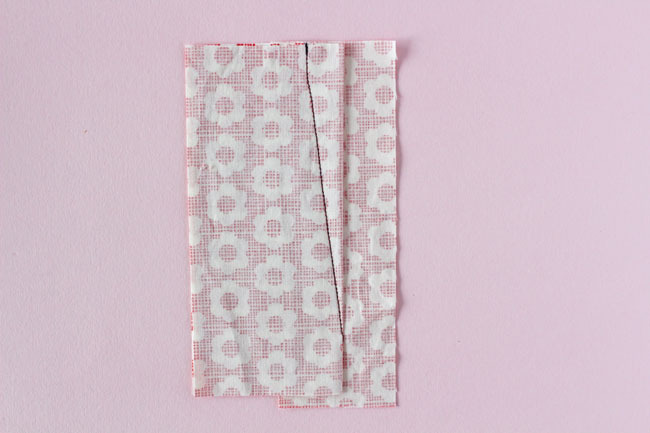 Press the layers of fabric flat, then press the fabric rectangle away from the stitching line. 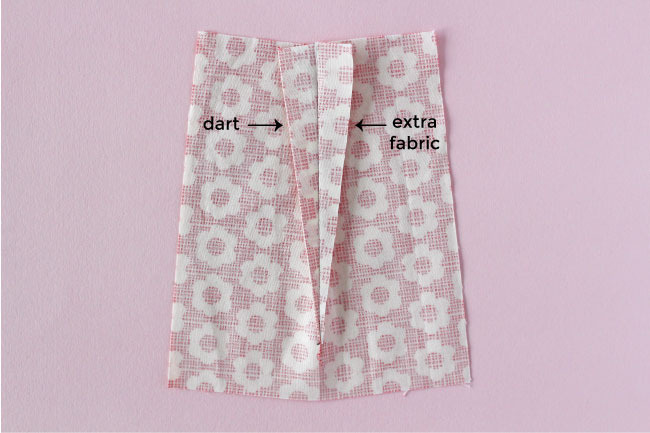 Trim away the excess fabric following the folded edge of the dart. Be careful not to cut through the dart itself! Press the dart in one direction, and the extra fabric in the other. Turn over and press the dart lightly from the right side. It helps to use a press cloth and a rolled towel or tailor’s ham to get a smooth, shine-free finish. Et voila! Slinky smooth, curvy darts that take your finish to a whole new level! Confused about what just happened? Let me explain a bit more! 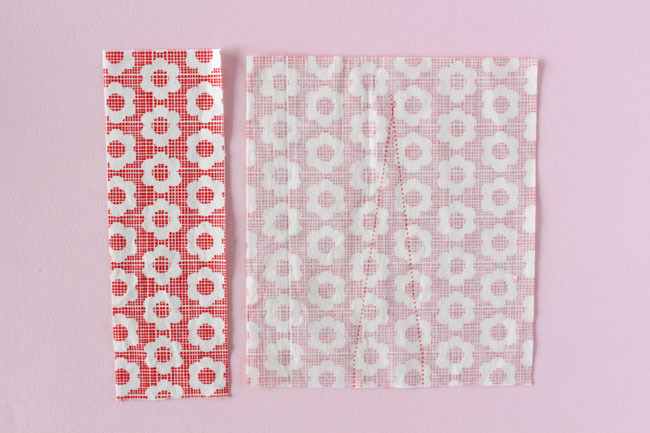 You might have noticed that in past projects, when you’ve sewn darts in medium or heavy-weight fabric, they can create a small bulk of fabric in the direction towards which it’s pressed. 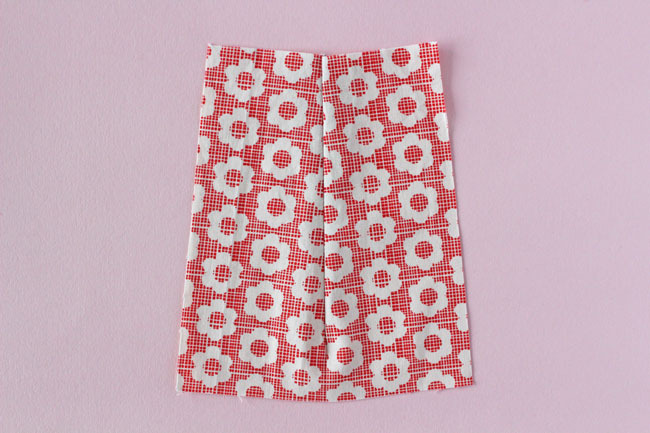 This is down to an unbalanced distribution of the fabric’s thickness. You could cut the dart in half and press it open, but that’s messy and likely to split open! By stitching the same layers of fabric to the dart, and pressing them in the opposite direction, the thickness is “counter-balanced”. Clever, huh? 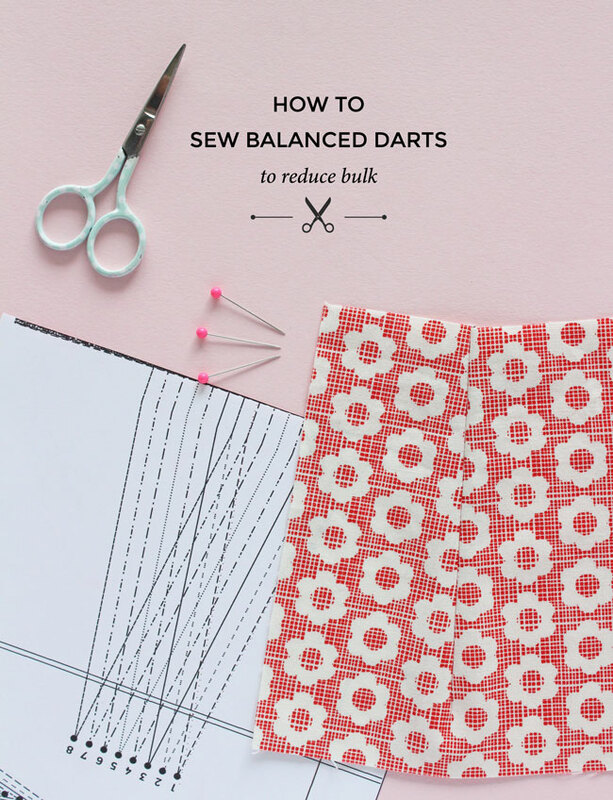 Give it a go next time you sew darts on bulky fabric!